Asofenix is a Nicaraguan non-governmental organisation that was founded in 2001, with the objective of contributing to improve the living conditions of the rural population through the use of renewable energy sources and appropriate use of natural resources. In consequence with this objective, Asofenix believes it is relevant and a priority to address the problems linked to the unsustainable consumption of forest energy resources in Nicaragua, such as firewood and charcoal. 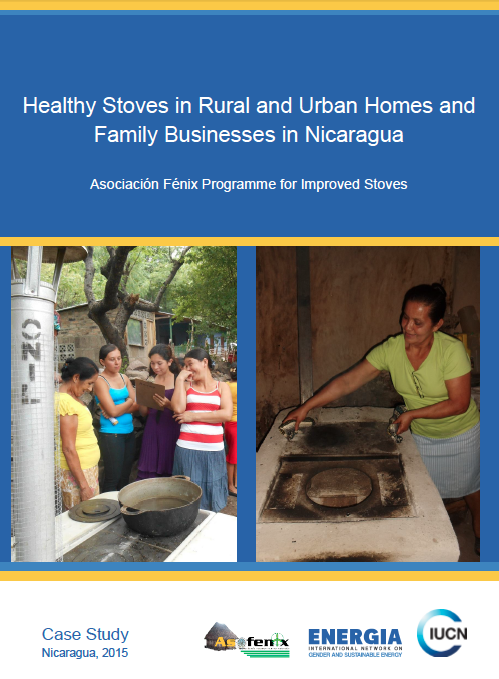 In this sense, and in response to growing demand and shrinking replacement capacity for energy resources, the Improved Biomass Stove (IBS) program focuses on reducing use and consumption of firewood as household fuel. Asofenix fosters and facilitates access to models of safer and more efficient stoves that save firewood and reduce smoke emissions, for rural and urban use. This program responds to the mission of Asofenix: To contribute to the promotion, development and innovation of renewable energy sources and sustainable production with environmentally-friendly techniques.